The 2015 NBA Free Agency period is upon us. This off season will be different from past off seasons for one reason and one reason only…this is the last NBA free agency period before TV revenue kicks in forcing the salary cap close to $90 million next year. For several NBA players now is the time to catch in. LaMarcus Aldridge: The most talked about big man in a rather congested big man free agency market. He is the only player in the NBA to average 23 points and 10 rebounds per game the last two years. Aldridge is Texas born and bred, having been born in Dallas and gone to school at the University of Texas. Prediction: Texas beckons. Aldridge signs with the Spurs and gets an opportunity to learn from Tim Duncan and eventually succeed him when Duncan retires. 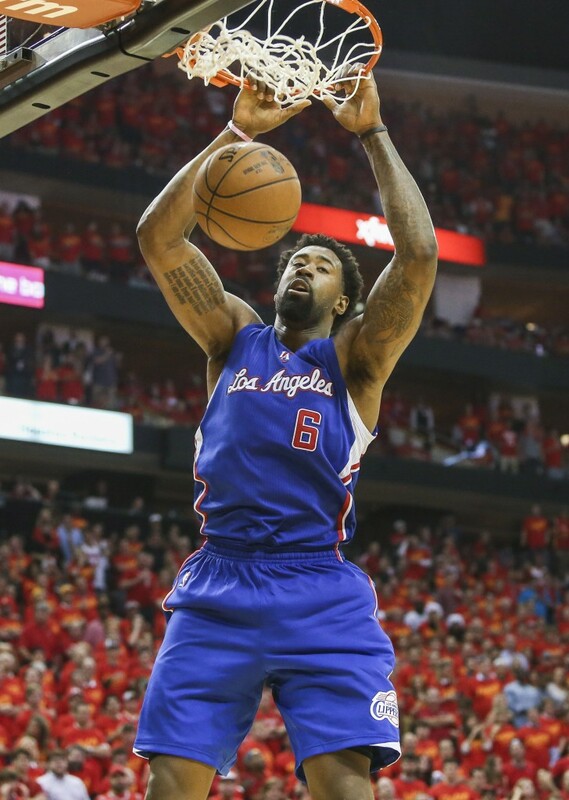 DeAndre Jordan: Coming off a career year where he led the NBA with 15 rebounds per game along with a 71% FG percentage, Jordan is looking to take advantage of a productive year. After being considered a 3rd wheel behind Chris Paul and Blake Griffin, Jordan is looking to expand his role on the offensive side of the ball. Prediction: Like Aldridge, Jordan is from Texas having grown up in Houston and played at Texas A&M. But unlike Aldridge, Jordan knows a good thing when he sees it and stays put with the Clippers. Kevin Love: The 2014-2015 season did not go as Kevin Love had planned. He went from being the man in Minnesota to being the 3rd option in Cleveland. Despite averaging 16.4 points and 9.7 rebounds per game in 75 starts, he never gelled with LeBron James and ended up dislocating his shoulder in the 1st round of the NBA playoffs. The question for love will be: does he take a max deal from Cleveland and possibly remain a 3rd option or does take less money and find a new home? Prediction: There will be plenty of suitors for Kevin Love, but if Love is smart, he resigns a 1 year deal with Cleveland and then cashes in next year when there will be more money to throw around. Will Dalton Pompey be in CF in 2015?